CASTLE fans rejoice!! 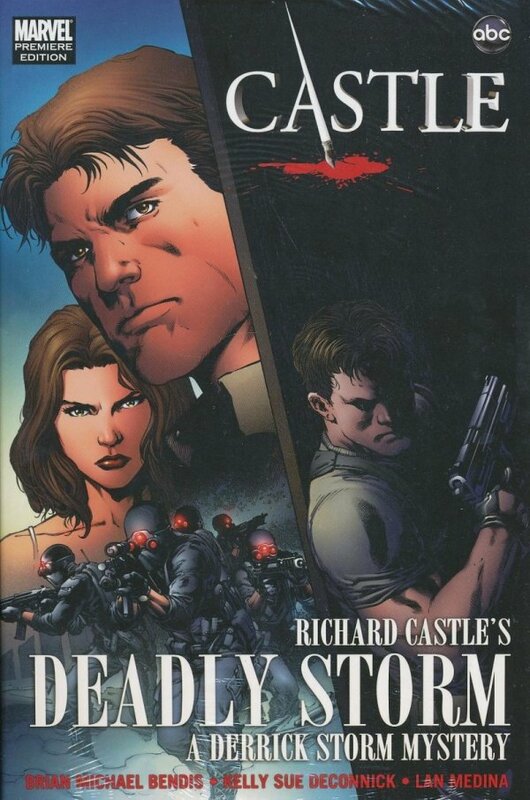 For the first time anywhere, Castle's hero Derrick Storm comes to life in the pages of this all new graphic novel. This "adaptation" of Derrick Storm's first novel adventure takes our hero from the gritty world of the private eye all the way to the globe-hopping intrigue of the CIA. 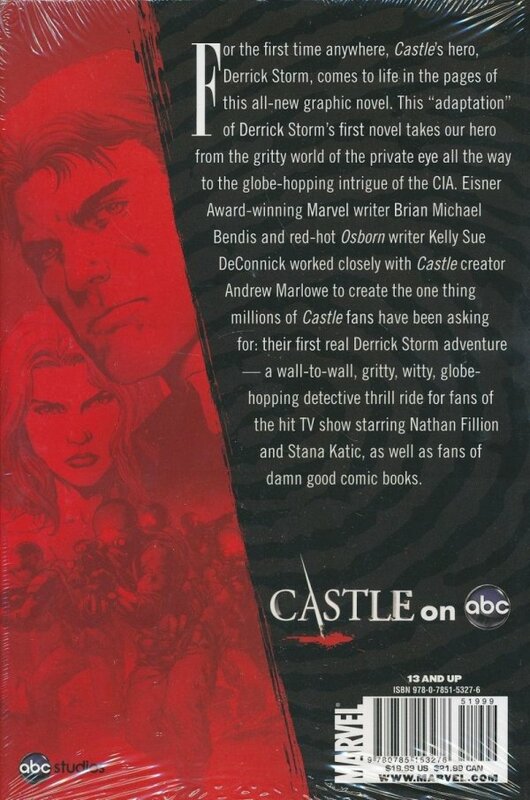 Eisner Award-winning Marvel Architect Brian Bendis and red hot Osborn writer Kelly Sue DeConnick worked closely with Castle creator Andrew Marlowe to create the one thing millions of Castle fans have been asking for: their first real Derrick Storm adventure. A wall-to-wall, gritty, witty, globe-hopping detective thrill ride for fans of the hit TV show starring Nathan Fillion and Stana Katic, as well as fans of damn good comic books.